The objective of the TIES PhD program is to train scholars capable of advancing the research frontier in the fields of innovation, entrepreneurship and strategic management. Graduates from the program place at top US and international institutions, and make contributions to both research and policy in their areas of specialization. Through a rigorous curriculum, close research collaboration with/mentorship by faculty, and an emphasis on questions that have real-world impact, our program trains scholars with an interest in understanding the challenges of innovation and entrepreneurship—moving ideas and companies from the earliest stages of basic research to effective products and services with an impact on the world. Many of our students come to TIES with a few years of research and/or work experience. We are agnostic with respect to the type of experience that is most valuable to a candidate: our students have been early-employees at startups, engineers within established innovative firms, researchers within a corporate or academic R&D lab, management consultants or have worked at venture capital firms. Our PhD program is not for everyone. Below we provide additional information to help you assess if our program is a good match for your career and intellectual ambitions (see also our list of Frequently Asked Questions). In the first two years of the program TIES PhD students invest heavily in their human capital through course work. Our training philosophy puts a strong emphasis on immersion within a reference social science discipline: economics, or sociology. This of a core discipline choice has both short-run and long-run implications for our students. In the short-run, it will determine many of the courses being selected. In the long-run, it will shape the theories and empirical methodologies with which students become familiar. Examples of course work for recent students who selected economics as their discipline is available here. Students who would like sociology to be their reference discipline are encouraged to apply to the economic sociology PhD program, and to indicate TIES as an area of secondary specialization. TIES PhD students are required to take 15.357 Economics of Ideas, Innovation, and Entrepreneurship, as well as 15.342 Organizations and Environments. 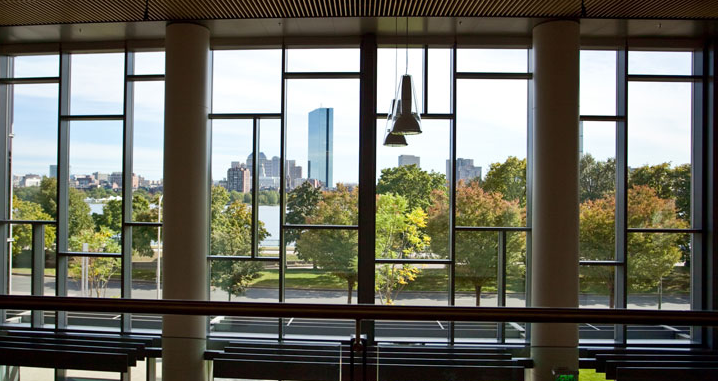 Over the first two years, our students also avail themselves to many other relevant classes taught elsewhere, including HBS and HKS, the economics department at Harvard, Boston University School of Management, and other departments at MIT. After the general examination, students embark on their own dissertation journey while also collaborating with faculty on research projects. TIES PhD students have immense freedom to choose their own research topics, with the help and guidance of faculty members in (or even outside of) the group. TIES dissertation-writers try to (i) find a fascinating, unanswered question; (ii) clarify how answering this question would relate to some broader theory (and associated literature) in the field, or help refine, modify or test this theory; (iii) demonstrate genuine engagement with, and understanding of the phenomenon under study; and (iv) bring to bear a compelling research design on the question so that the proposed answer is convincing. Bringing all these elements together is exactly what is meant by “advancing the research frontier.” It is a process that is both extremely challenging and intellectually rewarding. Students in the TIES PhD program receive rigorous research training in a reference social science discipline, and are encouraged to start developing their own idea at an early stage in the program. As a result, they are well-positioned to launch a successful academic career at a top business school. Among the twenty-two students who graduated from our program between 2006 and 2016, twenty are currently tenured or employed in tenure-track academic positions. PhD graduates from the TIES program currently teach at Boston University, Dartmouth College, University of Michigan, Harvard Business School, London Business School, MIT, Stanford University, University of Pennsylvania , University of Southern California, Georgia Institute of Technology, and University of California–Berkeley, among many others. Comprehensive placement information for alumnis of the program can be found here. At the end of the second year, TIES PhD students must pass a written and an oral general examination to demonstrate thorough command of the academic literature in entrepreneurship, innovation and strategic management, particularly as it intersects with their reference discipline (economics or sociology). Students also work on a “second-year” paper to begin the transition from being a consumer of research to being a producer of it. The paper is not intended to bootstrap the dissertation (though it sometimes does! ), but rather to display the skills they have acquired during the course work phase of the program to address a question of theoretical and empirical interest. As such, the second year paper typically entails original data collection on a novel or understudied phenomenon. TIES PhD students go on the academic job market when their “job-market paper” (typically the most important essay in their dissertation) is at an advanced stage. The fall semester in this last year of the program is typically devoted to improving the paper through presentations in front of diverse audiences, and regular feedback frompeers and faculty advisors. The “job talk” season typically stars in early January as peer schools invite job applicants to visits and present their work. The TIES faculty is an interdisciplinary group of leading economists, economic sociologists and management scholars working on frontier research in technological management, entrepreneurship and strategic management that aims to translate ideas into impact. TIES research often influences innovation and entrepreneurship policy and strategy in the US and beyond. Should I take the GMAT and the GRE? We have a strong preference for the GRE, which is the standardized test required for entry into PhD programs in the social sciences. However, we will accept GMAT scores. Do I need an MBA to apply? Absolutely not. Our PhD program is not a “super-MBA,” nor a natural continuation of an MBA. An MBA is a professional degree. Good MBA programs prepare you for having an impact on management practice within a particular firm or organization. The goal of a PhD program is completely different: our objective is to train the next generation of researchers that can push the knowledge frontier further in innovation, entrepreneurship and strategy. OK, but I already have an MBA. Will this give me a leg up in the application process? No. Nor will it hinder your chances to be admitted. There is certainly a precedent for students in our PhD program to have received an MBA at an earlier stage of their career. What about other types of advanced degrees? We look very closely at applicants with a strong foundation in an engineering or science discipline. But what we care about is genuine technical depth in a particular area. A master’s degree is one way to signal that type of expertise. Professional achievements are an alternative way to do so. I’m confused. The TIES PhD program is a business school PhD program with a focus on innovation and entrepreneurship. But when I look at the kinds of classes recent students have taken, it looks a lot like an economics PhD program. Why? Our approach to training PhD students is unapologetically disciplinary. This means that where the study of innovation and entrepreneurship intersects with your social science discipline, your training will prepare you for contributing to the debates that animate the discipline. This could mean publishing your research in disciplinary journals (and not simply in management journals); collaborating with researchers who were trained in economics and sociology departments; participating in meetings and conferences mostly attended by researchers trained in these disciplines; or all of the above. As a result of this disciplinary orientation, there is a wide overlap in the courses ours students take in the first two years and the course requirements of a traditional PhD program in economics or sociology. How is the TIES PhD program distinct from a PhD in economics? We ask ourselves this question all the time. There is extensive overlap between the type of courses TIES PhD students typically take, and courses students in a traditional economics PhD program would take: a year-long sequence in microeconomic theory; a year long sequence in econometrics; a year-long sequence in one or more economic subfields (such as industrial organization, labor economics, or organizational economics). However, TIES PhD students do not typically take a course in macroeconomics, or on advanced theoretical topics. More importantly, our students are expected to engage with the phenomena they study to an extent that is rare in a typical economics PhD program. Most TIES PhD dissertations include an element of qualitative fieldwork, which often frames and motivates more systematic empirical analyses. Our group takes pride in our students’ ability to straddle the usually rigid divide between statistical analyses and qualitative understanding. This is where a deep understanding of the process of innovation, entrepreneurship or strategic management of firms comes into play. Our students also spend considerable time in understanding the institutional details of the organizations and markets they study, as well as the technological changes that affect them. I understand the TIES program is discipline-based, but I am more interested in sociology than economics. Should I apply? Yes! But it might make more sense for you to apply to the economic sociology program, while making clear that you intend your secondary concentration to be TIES. Faculty members in both groups will look at your application. So where would I learn how to do research on innovation- and entrepreneurship-related topics specifically? Every TIES student must take 15.357 “Economics of Ideas, Innovation, and Entrepreneurship”. This course is designed as an introduction to the field and its canonical set of questions, theories, and empirical evidence. Beyond this introductory class, TIES PhD students have a weekly reading group, with each meeting centering on a small number of papers. In the recent past, students have also taken courses taught by colleagues at the Harvard Business School and Boston University. The TIES seminar series, which includes top speakers from the field, also offers a regular source of ideas for our students. How long is the program? Four years? Five years? Six years? Our PhD fellowship package covers five years, which we believe ought to be enough to complete the program. 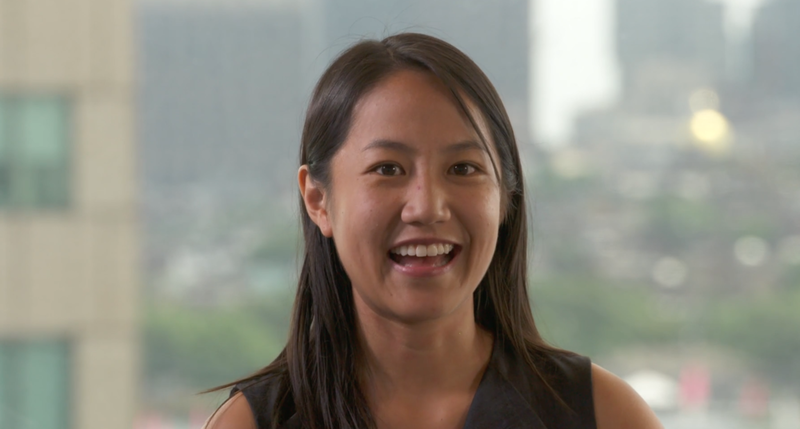 In the recent past, some of our graduates have taken six years to complete their dissertation, with the help of external fellowships such as the Kauffman Foundation Dissertation Fellowship. Depending on your ability to zero-in on a dissertation question, and access the necessary data, it is possible to complete our program in four years. This, however, tends to happen very rarely. The web site provides a comprehensive list of alumni, their placement, and current whereabouts. But how many students begin the program but do not finish it? We admit between one and three students every year. Our hope is that every student who begins the program will graduate with a PhD and launch an academic career. In very rare cases, we have asked students to leave the program if they could not pass their general examinations or were unable to provide a draft of an independent research paper by the beginning of the third year. I like the idea of getting a PhD, but I am not sure academia is a good fit or necessarily consistent with my long-term career goals. Should I bother applying? Probably not. Our program represents a strong commitment to the pursuit of knowledge in the areas of innovation, entrepreneurship, and strategic management. The overwhelming majority of our graduates can, and do end up, in tenure-track academic positions. Other programs might be more appropriate if your ambitions veer more towards consulting or policy work. I am super-interested in (insert your favorite technology here, such as CRISPR or blockchain; or innovation-related phenomenon, such as open-source software development; or industry, such as biotech or energy). But there does not seem to be anyone on the TIES faculty who is an expert on it. Should I apply nonetheless? Yes! First, you will be exposed to many new ideas and theories over the course of our PhD program. Your own interests will evolve as you become a more mature researcher and develop your own research agenda. Second, TIES faculty members love to interact with students who can teach them about novel technologies or phenomena. Third, students are encouraged to “choose their own pond,” and in our field it might well mean studying the impact of a new technology (e.g., AI, CRISPR, or something else) on the internal workings of organizations, entire industries, or the rate and direction of innovation across fields. And of course, to study these topics, you need a deep understanding of the underlying phenomenon! How much mathematical preparation do I really need to succeed in the TIES PhD program? Quite a bit. The level attained with a typical science, engineering, or economics undergraduate degree is usually adequate. Specifically core courses in microeconomic theory and econometrics do require command of linear algebra, probability theory, statistics and calculus. More advanced mathematical skills---such as real analysis and measure theory---are helpful, but not necessary. My undergraduate major was not in engineering or science. I am genuinely interested in the systematic study of innovation- and entrepreneurship-related phenomena, but you could not necessarily infer that from my CV. Should I apply? Yes. In particular if your undergraduate major is in economics, sociology, statistics, political science or computer science. Just make sure that your statement clarifies why you believe the TIES PhD program is a good fit for your research aspirations, relative to a PhD program in a traditional social science discipline. Do you need to express interest in an advisor or faculty sponsor during the application process? Absolutely not. The decision to admit a student is made by the entire group, not by individual faculty members. The PhD student fellowship is portable and will not constrain your search for a PhD mentor. Students generally decide on their main dissertation mentor sometimes during the third year. Until then, they are encouraged to speak to as many faculty members as possible. At the same time, if the research of one or more faculty members clearly overlaps with yours, you should articulate why in your statement. I’ve been out of school for a long time. Is it too late to apply to TIES? No! TIES students represent a broad range of professional experiences and stages of life. Students have come into the program with everything from only an undergraduate degree to 15 plus years of professional experience and a master’s or professional degree. A number of students also have families prior to beginning the program. It is never too late to apply if a PhD is your goal.